People are more vulnerable as they get older. 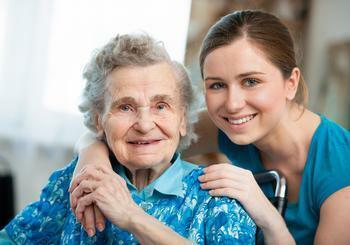 Seniors tend to be victims of crime, as well as abuse at the hands of people they trust. Increasingly, financial fraud is a prime area of abuse. To help seniors guard against this danger the federal government – in a joint effort by the Federal Deposit Insurance Corporation (FDIC) and Consumer Financial Protection Bureau (CFPB) – has produced a new tool to help prevent financial exploitation. The tool, a stand-alone training module that's part of FDIC's Smart Money guide, provides information to increase awareness among those 62 and older and their caregivers on how to prevent, identify and respond to elder financial exploitation. It also includes information for planning for a secure financial future and making informed financial decisions. The module offers practical information that can be put into practice right away. A key factor in some cases of elder financial exploitation is mild cognitive impairment that can diminish an older adult’s ability to make sound financial decisions. An example of financial abuse is a criminal who sells the senior non-existent investments and disappears with their money, but that is only an extreme case. Someone who pressures a senior into risky, or fee-laden investments, without regard to whether it is a good or prudent investment for someone at that stage in life can also be considered to be engaging in elder abuse. 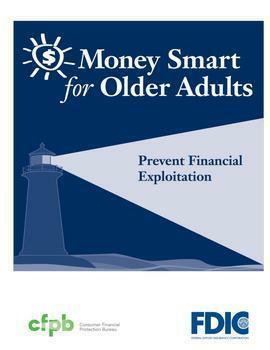 The guide offers seniors and their caregivers advice and tips for avoiding financial abuse of any kind. And it is just one tool that senior advocates are promoting. Another comes from an unlikely source – the medical community. It turns out doctors and nurses could provide an early warning system when an older adult is vulnerable to financial fraud. A recent Investor Protection Trust (IPT) online survey of 603 doctors and the nurses who work with them found that 21% were aware that they often are dealing with the elderly victims of investment fraud or financial exploitation. The survey further found that 84% of those doctors and nurses said they would be willing to refer an elderly patient who may be the victim of investment fraud to those who may be able to help them with their financial affairs or to the proper authorities for help. Most of the medical professionals in the survey think that mild cognitive impairment often makes seniors more vulnerable to investment fraud and financial exploitation. In an encouraging response, 61 percent of doctors said they would be interested in continuing medical education credits to learn more about spotting the signs of investment fraud and financial exploitation of the elderly. "Doctors and nurses must play an important front line role if we are going to do a better job of spotting older Americans who have been or are being victimized by investment fraud and other financial exploitation,” said Don Blandin, president and CEO, Investor Protection Trust. State securities regulators are already working with thousands of doctors to help them learn the symptoms of this problem and what to prescribe in terms of help from the experts who are standing by to provide it. Keep in mind that financial abusers are not always outsiders. In many cases they are family members who may have drug, gambling or alcohol problems. Children of aging parents should maintain open and frank communication about an older parent's condition and the danger of financial abuse, encouraging each other to keep a close eye on mom or dad's bank account.